Dr. Maher Anous is a highly regarded Beverly Hills and Irvine plastic surgeon who has dedicated his surgical career to helping his patients look and feel their best. Dr. Anous recognizes that women who have experienced one or more pregnancies often feel self-conscious about their body contours. Specifically, they are often unhappy about the way their stomach and their breasts look after childbearing. In order to help mothers restore their pre-pregnancy body contours and improve their self-confidence, Dr. Maher Anous performs mommy makeover in Beverly Hills and Irvine. In the paragraphs below, Dr. Anous explains this treatment and how it can help you enhance your beauty. While childbearing is one of the most beautiful experiences in a woman’s life, it often leaves unwanted marks on the body. Common post-pregnancy aesthetic issues include saggy, deflated-looking breasts, excess skin on the stomach, an unsightly lower belly pouch, and stretch marks. While some issues (such as excess post-baby weight) can be resolved through diet and exercise, other changes (such as extra skin and saggy breasts) can be reversed only through plastic surgery. Generally, you might be a good mommy makeover Beverly Hills and Irvine candidate if you are healthy, close to your normal weight, and have realistic expectations. You should also be done having children. Although you can change your mind and have another baby after the mommy makeover surgery, the changes in your body shape might reverse the effects of your surgery and require additional treatments. Each mommy makeover treatment is a highly individualized surgery because each woman can choose a different procedure combination. 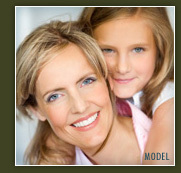 Popular mommy makeover procedures include breast lift with or without breast augmentation, liposuction and tummy tuck. The mommy makeover procedure is performed under general anesthesia. After the patient is prepared, Dr. Anous makes several incisions in the breast and stomach area in order to remove the excess skin, lift the soft tissues and create more youthful body contours. If the patient has chosen to undergo breast augmentation, silicone or saline breast implants will be placed within the breast mounds. Dr. Anous might also perform liposuction to remove localized fatty tissue deposits from the stomach. However, prospective Beverly Hills and Irvine mommy makeover patients should keep in mind that mommy makeover is not a weight loss procedure. Instead, it should be performed after you have lost most of your baby weight. The length of recovery depends on the number and type of procedures performed. Generally, patients should plan to spend the night at the hospital and be very sore for at least a week after the procedures. Dr. Anous recommends that his Beverly Hills and Irvine mommy makeover patients arrange for someone else to take care of their children during the immediate recovery period. It is important to get up and walk as soon as possible following surgery to prevent blood clots. Dr. Anous will provide you with instructions about what medications you should take and when you can resume your regular activities. Dr. Anous and his team carefully monitor each patient’s recovery progress in order to make her feel safe, secure and well taken care of. Most of Dr. Maher Anous’ mommy makeover patients recover fully within one month. At this time, they are able to enjoy the beautiful results of their procedures – perkier, more youthful-looking breasts and a slimmer, tighter stomach. The post-surgical scars fade over time, and they can be easily hidden by even in the tiniest bikini. In addition to helping mommy makeover Beverly Hills and Irvine patients achieve beautiful body contours, Dr. Maher Anous has extensive experience helping individuals who have lost a massive amount of weight enhance their appearance. In fact, Dr. Anous enjoys a reputation as one of the more accomplished Beverly Hills and Irvine body lift surgeons. For those weight loss patients who require less extensive body contouring, Dr. Anous performs CoolLipo in Beverly Hills and Irvine.